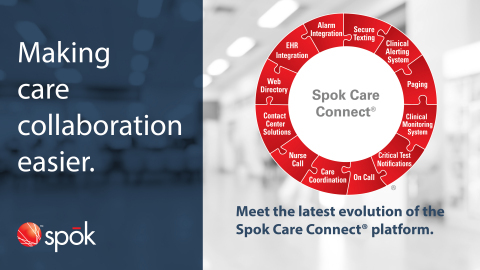 SPRINGFIELD, Va.--(BUSINESS WIRE)--Spok, Inc., a wholly owned subsidiary of Spok Holdings, Inc. (NASDAQ: SPOK) and a global leader in healthcare communications, will demonstrate the latest evolution of its integrated healthcare communication platform, Spok Care Connect, in booth #3371 at the 2019 HIMSS Annual Conference and Exhibition, Feb. 11-15, 2019, in Orlando, Florida. The first-of-its-kind cloud-native enterprise communication platform includes a fully integrated healthcare contact center, clinical alerting and alarm management solution, and a multi-device application for care team messaging. 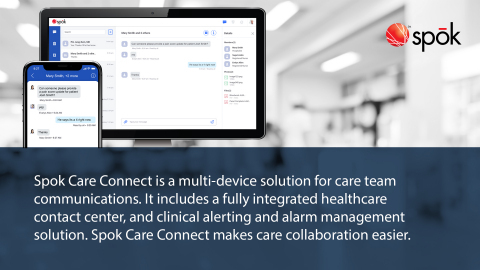 Spok Care Connect makes care collaboration easier by connecting important care team and patient information into messaging and alerting applications. HIMSS19 attendees are invited to visit the Spok booth (#3371) for a personal tour of the latest evolution of Spok Care Connect. Learn more and book a demo or meeting at spok.com/HIMSS. Spok, Inc., a wholly owned subsidiary of Spok Holdings, Inc. (NASDAQ: SPOK), headquartered in Springfield, Va., is proud to be a global leader in healthcare communications. We deliver clinical information to care teams when and where it matters most to improve patient outcomes. Top hospitals rely on the Spok Care Connect® platform to enhance workflows for clinicians, support administrative compliance, and provide a better experience for patients. Our customers send over 100 million messages each month through their Spok® solutions. Spok is making care collaboration easier. For more information, visit spok.com or follow @spoktweets on Twitter. 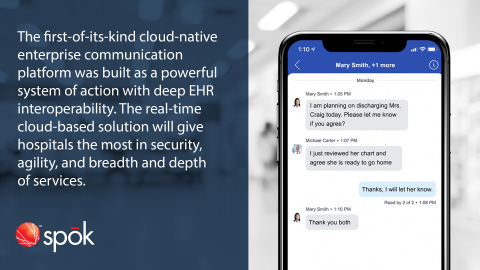 Spok announces first-of-its-kind cloud-native enterprise communication platform at HIMSS19. 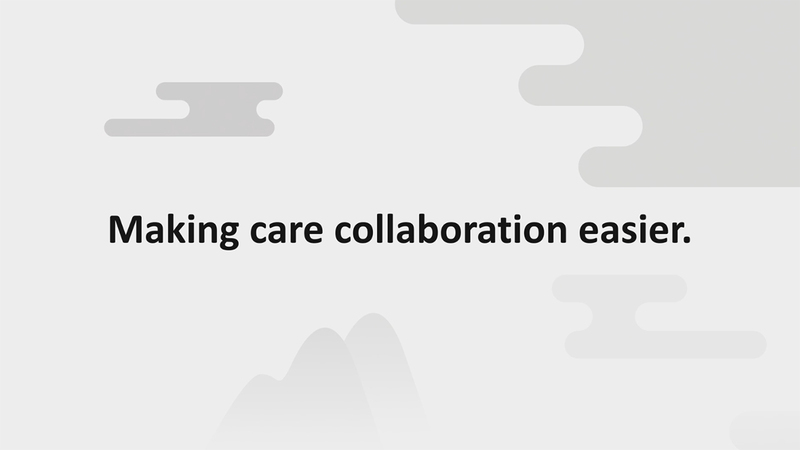 Spok Care Connect makes care collaboration easier.